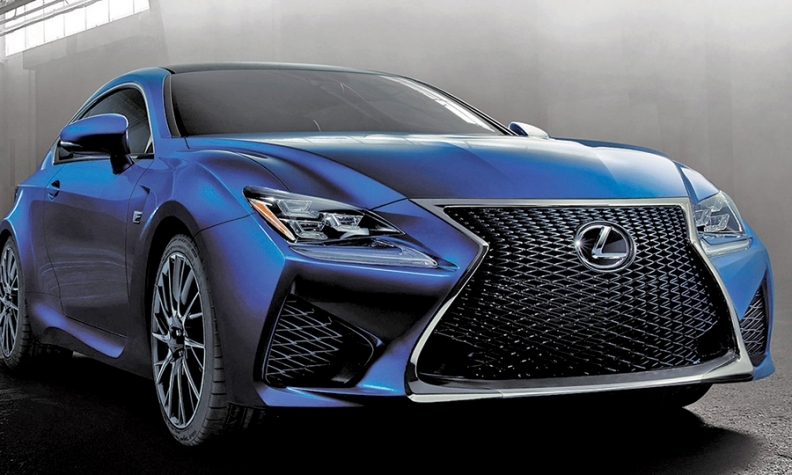 Lexus' new marketing strategy was used for the RC coupe, due in the United States this year. TOYOTA CITY, Japan -- Lexus has overhauled global marketing to help leverage creative input from around the world, cut costs and deliver more consistent brand messaging. The first vehicles benefiting from the new strategy are the NX compact cross-over that just went on sale in Japan and the RC sporty coupe due in the United States later this year. Before, marketing officers in each country devised their own advertising and brand messaging. They might also pool their ideas in a shared library of marketing content. But that data dump came after they had spent money and time producing the content. Now, global marketers meet up to a year before a vehicle's initial launch to plan product messaging and pick the best content. While the change still allows for tailoring marketing to individual markets, it makes sure all markets tout the same brand message. It also reduces costly overlapping efforts, such as filming vehicles driving along coastal roads in multiple markets. "It's going to help us both in savings and in consistency in messaging," Mark Templin, Lexus International's executive vice president, told Automotive News. "The world has become a smaller place. Everybody can get on the Internet and see what everyone else is doing. So the more consistency we have, the better it is for us as we build the brand." Under the new approach, 25 marketing gurus from the top 10 global markets meet months before a product's debut in so-called launch planning meetings to hash out ideas. With the NX, which went on sale in Japan in July and arrives in the United States in November, the first meetings began in late 2013. Executives homed in on two global themes: performance and design. The ideas resulted in an NX tag line targeting younger buyers: "Beyond Utility." The committee members went back to their local ad agencies to drum up creative ideas. Then they met again to share their ideas, keeping the good ones for pooled use. Members kept meeting every three or four months to fine-tune the message until launch. "In the past, they didn't come together and come up with a shared strategy. Every market just created their own stuff," Templin said. "Now you actually have the bigger markets coming together and sharing strategy, sharing creative concepts. "In some cases, they say, 'Well, I was going to do this, but if you're going to do that, I can use it and won't bother'" creating my own version. Disciplined brand messaging is increasingly important for Lexus, as Toyota Motor Corp.'s premium marque embarks on a two-pronged product plan -- with established nameplates aiming to keep current, older customers and newer, flashier models trying to win young ones. One message Templin wants to send is that Lexus will not follow German rivals in rolling out sub-$30,000 nameplates just to drum up volume. He said separately that it would be impossible to keep Lexus' level of quality and build a car profitably at that price. July's U.S. sales results, at least, seemed to validate Templin's sentiments. Lexus' monthly sales topped those of BMW and Mercedes-Benz (excluding Sprinter) for the first time since August of last year. Lexus sales soared 19 percent to 27,333 vehicles in July, though the brand trailed BMW and Mercedes for the first seven months.